Are you a seed junkie? The first step in recovering from addiction is recognizing that you have a problem. If you answer ‘yes’ to 2 or more of the following questions, you just might be a seed junkie. You have more seed packets than you will ever be able to plant. Organizing your collection reveals that you have several packets of each variety. You faint at the mere thought of organizing your collection. You purchase seeds because the package is pretty or will look nice with your other packets. There are seed packets in your collection dating back to the Nixon administration. You can’t bear to give or throw away packages of seeds, because someday you’ll plant them. You’ve ever run to the mail box in your pajamas in December in anticipation of seed catalogs, only to slip into a funk for the rest of the day if they haven’t arrived yet. You begin purchasing seeds for next year, before this year’s garden is put to rest. There are numerous drool spots in your seed catalogs. The zombie apocalypse seems like a rational reason for buying extra seeds. Your family is considering an intervention and consequent seed giveaway. People start giving you seed packets for holidays and your birthday, because they don’t know what else to give you. You’ve ever lost a pet in your seed collection. And you still haven’t found it. The beer fridge in your basement has been over run by seed packets. You forget your kids’ birthdays and give them seed packs in place of toys. You insist you can stop buying seeds anytime. After this one last order. Your spouse hides the seed catalogs, credit card, and check book starting around Thanksgiving. You hear the term ‘Seed Money’ and you don’t realize they’re talking about a business start up. You need to build a climate controlled addition on your house to contain your seed collection. Are you a seed junkie? Are you recovering from a seed addiction? Do you know of any 12 step programs I can join? I was in the hospital last March and my kids thought they’d help me out by cleaning my house before I got home. They threw away ALL my seeds. I was devastated. I’m making up for it with all my orders this year. There’s still hope for you, Daisy! Oh, and getting a bigger place means you buy even more seeds! Trust me, I know! 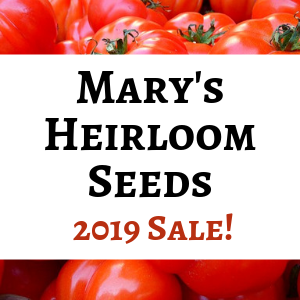 Have a seed party on one of those cold, dreary days in mid-January and invite all of your seed junkie friends to come over and bring their new seed catalogs for coffee and something warm from the oven. I don’t fit all the qualifications, mainly because there’s no off-season, but I do get excited when I get my seeds in the mail, and I have MANY more seeds than I could ever plant, and I DREAM of having more space to plant to use them, and I DID get really carried away with tomato seeds this year and have over 100 seedlings, hahahaha, even though I only have room for MAYBE 15 plants. 🙂 Great post, thanks! !Deshacerse de la evidencia, Luis! 21. You see the display in the picture at the top of this post and wish you had it at your house. 22. You actually planted some of those seeds from the Nixon administration…checked yesterday and a couple have sprouted! Lol! Yep 🙂 Thanks for the smile, Stacy! Haha, love it, pinned it, nearly there myself. Great post, Lisa. My wife will save the seeds from any piece of fruit she ate that she enjoyed even if its tropical and unable to grow it in our climate. There are much worse things we could be doing, right?! I do too! I just plant them indoors!